Now available: PHM Statement on Draft GPW13 (13 Nov 2017). The PHM, while welcoming the vision of equity promotion in the SDG 2030 goals, challenged delegates at the WHA to consider if the same polices which has promoted an ecological disaster and has engendered multiple economic collapses can promote sustainable goals. Is WHO poised to open its governance to private commercial interests? At the 69th session of the World Health Assembly, a possiblel adoption by Member States of a Framework of Engagement with Non-State Actors (FENSA) that does not have sufficient safeguards against undue influence from the private sector could constitute a sad turning point in history of WHO. The complex terminology “Substandard/spurious/falsely-labelled/ falsified/counterfeit” (SSFFC) medical products was proposed 6 years ago by the Director General as a provisional term. Disappointedly, as time has passed, the only one element that changed is the temporary use of the terminology. Why are these terms concerning? Because they conflate the issue of the quality of medicines with asserted breaches of intellectual property rights. At the 68th World Health Assembly, Member States committed themselves to strive for a global vaccine program that is both inclusive and universal. The resolution aimed to overcome the barriers affecting vaccine access, and ensure affordability in places with low resources. In order to be more effective, the necessity of reporting on these obstacles was emphasized. In a statement made on January 27, People's Health Movement and Medicus Mundi International pointed out the weaknesses of the draft roadmap established by the WHO for an enhanced global response to the adverse health effects of air pollution. This draft misses an analysis of the current economic and trade-related rules that would prevent the establishment of a robust plan of action. "Reflections on the Ebola crisis"? In a statement made on Monday, January 25th, People's Health Movement and Medicus Mundi International reminded the Executive Board members of the flaws in WHO's response to the Ebola crisis were largely due to their reluctance to fund emergency preparedness responses. They deplored that some wealthy member states (MS) were slow to volunteer healthcare resources to assist in the crisis. Today, PHM and MMI denounced the failure of the Framework of Engagement with Non-State Actors (FENSA) currently under discussion at the World Health Organisation (WHO) to provide a robust framework against undue influence of the corporate sector and its philantropies. 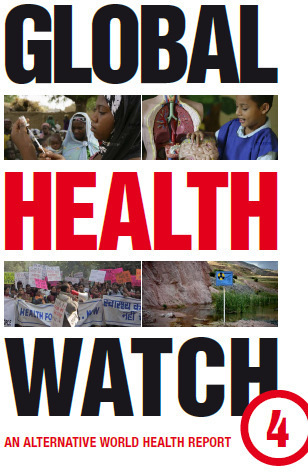 We welcome you to this new edition of People’s Health Movement’s (PHM) initiative WHO Watch (more on WHO Watch here). World Health Organization or World Health Corporation? 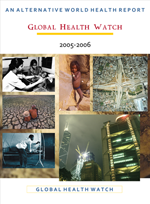 The latest issue of Third World Resurgence (#298/299, June/July2015) delves into the influence of the private sector on the WHO in the context of the current reform of the institution and its long standing funding crisis. See detailed contents below.